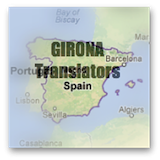 Below is a complete list of all the Costa Brava hotels in Cadaques and Portlligat. BUT before you look through the list of Portlligat and Cadaques hotels...please click here to open in a separate window...How The Hotel Costa Brava Accommodation Directory Works? Want to see if Cadaques beach is for you? Take a look at the pictures of Cadaques. Location: This family run Costa Brava hotel is located a couple of minutes walk from the small cove of Platja des Pianc to the north of the main Cadaques beach and is about a 10 minutes walk to Cadaques town centre. Description: Hotel Blaumar has a breakfast room, bar, terrace, small swimming pool, parking and bike hire. Most of the rooms have balconies overlooking the village, air conditioning and cable TV. Location: This boutique Costa Brava hotel is in the town centre of Cadaques, on one of the main streets, and is a 20 walk from the beach. 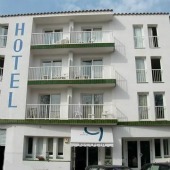 Description: L’Hostalet de Cadaques is a relatively new hotel (opened in 2008) and the modern decor shows this. The hotel is on a busy road and so can be noisy/lively. There is a nice cafe/bar at the hotel. The rooms are small, but modern and attractive with air conditioning, heating, cable T.V and free wi-fi. Location: This fabulously located Costa Brava hotel is in the quite little village of Portlligat, right on the beach. Cadaques is 1 km away. Description: Hotel Calina has a lunch time restaurant, swimming pool, children’s swimming pool, hammocks, garden, free wifi and free parking. The rooms have sea view terraces and cable TV. There are also studio apartments available. Dogs allowed. 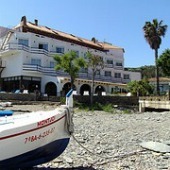 Location: This Costa Brava hotel is in the town of Cadaques, 5 minutes walk from the beach. 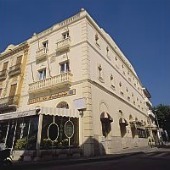 Description: Hotel Can Pepin has a restaurant, cafe and a bar. The rooms are simple and clean, with heating, fan and TV. 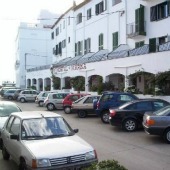 Location: This Costa Brava hotel is at the end of the main promenade in Cadaques, about 1 minutes walk from the beach. Description: Pensio Cristina is very centrally located, which makes it a little noisy, but you will be in the heart of this lovely village. The rooms are really smartly decorated with air conditioning, free wi-fi and some rooms have a large terrace with sea views. The hotel also has a nice looking cafe/bar. 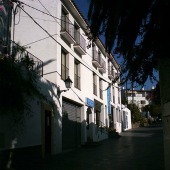 Location: This Costa Brava hotel is in the town of Cadaques, 4 minutes walk from the beach. 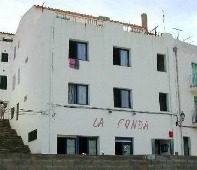 Description: Hostal La Fonda is a small hotel right in the centre of Cadaques, which provides a restaurant and parking. The rooms are small and very basic but clean with heating, T.V and breakfast included in the rate. Location: This Costa Brava hotel is in Cadaques bay (right on the sea, in Llane Petit cove). About 10 minutes walk to the old quarter of Cadaques and the main beach. Description: Hotel Llane Petit has a swimming pool, garden, bar terrace (with sea view), breakfast room, a garage and free wifi. Most of the rooms (which were all renewed in 2010) have a sea view or garden view from the balcony/terrace plus air conditioning and cable TV. Location: This Costa Brava hotel is only 50 metres from Cadaques beach. Description: Pensio Marina is quite noisy due to its central location, but you will be very close to all the cafes and restaurants and of course the beach. The rooms are small, basic and clean, with T.V, heating and some have balconies. Location: This Costa Brava hotel is in a quiet residential part of the village, a 5 minute walk downhill to the centre of Cadaques. Give yourself longer for the walk back! Description: Hotel Misty has a bar with a terrace, shady garden, swimming pool, solarium, table tennis, petanque and a billiard table. The rooms are basic and clean with central heating (no air conditioning) and TV. The hotel has a free car park. Location: This family run Costa Brava hotel is a 5 minute walk to the centre of Cadaques and the beach. 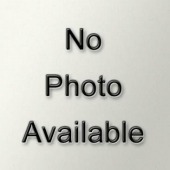 Description: Hotel Nou Estrelles has a restaurant/cafe. The rooms are basic and clean (repainted 2012) with central heating, air conditioning and TV. The hotel has a free car park and free wifi. 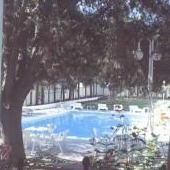 Location: This Costa Brava hotel is in the centre of Cadaques, 50 m from Cadaques beach. Description: Hotel Octavia has a breakfast room and a bar. The rooms have either a small balcony or a terrace plus air conditioning and cable TV. Location: This Costa Brava hotel is located in the small cove of Platja des Pianc to the north of the main Cadaques beach and is about a 10 minute walk to Cadaques town centre. Description: Hotel Playa Sol has a swimming pool with a lovely tree shaded terrace, jacuzzi, steam bath with hydro massage shower, garden, summer lunch restaurant, breakfast room, TV room, tennis and basketball court, table tennis, petanque, the hiring of kayaks and mountain bikes and a garage. The rooms are attractively decorated and some have a sea view or garden view plus air conditioning, wifi and a TV. This Costa Brava hotel is closed from 1st December to 31st March. Location: This family run Costa Brava hotel is located right in the lovely bay of Port Lligat, very near to the house of Salvador Dali. 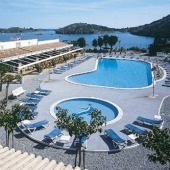 Description: Hotel Port Lligat has a restaurant, swimming pool, solarium, garden, jacuzzi, terrace and parking. The rooms have a minibar and TV and many have terraces overlooking the sea. Weddings are often held at this hotel, and it is a cracking location...getting married over looking the sea! Description: Pensio El Ranxo is close to the centre of the town and provides parking and a bar. The rooms are basic and clean and have heating. Location: This Dali themed charming Costa Brava hotel is on the sea front in Cadaques just a short stroll to the beach. Description: Hotel La Residencia is full of antiques and paintings...it even has an on sight art gallery (in the communal areas you could be mistaken for thinking you were in a museum). This Costa Brava hotel has been in existence since 1904 (Dali stayed here). Hotel La Residencia has a bar/cafeteria, internet and parking. In comparison to the rest of the hotel, the rooms are nothing special, just typical basic clean hotel rooms with air conditioning and cable TV. But the suites are pretty special with unusual furnishings and paintings and lovely sea views. Pets are allowed. Location: This beautiful Costa Brava hotel is situated in the cove of Platja Portdoguer just south of the main Cadaques beach and is about a couple of minutes walk to Cadaques town centre. Description: Hotel Rocamar has a restaurant, terrace restaurant/bar, banquet room, swimming pool, indoor swimming pool with hydro massage, sauna, gardens, children’s playground, games room, tennis court, mini-golf, table tennis, free wifi and a free parking space. Some of the rooms have a balcony or terrace plus air conditioning and cable TV. Pets are allowed (but not in the restaurant and pool areas). You can get married here! 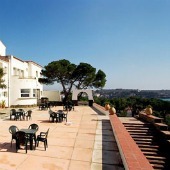 Location: This Costa Brava hotel is set above the town of Cadaques with good views of the bay. 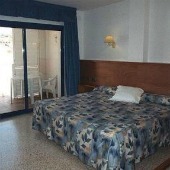 It is a 5 minute walk to Cadaques town centre and a 10 minute walk to Cadaques beach. In the other direction you can walk to Portlligat in 10 minutes. Description: Hotel S’Aguarda has a breakfast room, small swimming pool with a sea view terrace, games room, garden, free wifi and a free parking space. The clean rooms have a balcony or terrace plus air conditioning, free wifi and cable TV. 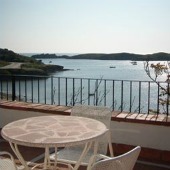 Location: This family run Costa Brava hotel is a 5 minute walk to the centre of Cadaques and 100 m from the main beach. Description: Hotel La Tarongeta has a breakfast room, a bar with a terrace court yard, TV lounge, free parking and internet. The rooms are basic and clean with air conditioning and TV. Location: This long standing family run charming Costa Brava hotel is in the town of Cadaques, 5 minutes walk from the beach. 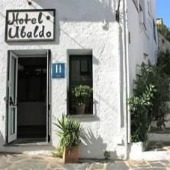 Description: Hotel Ubaldo is a lovely white-washed building with a restaurant and free parking. The rooms have either a balcony or a terrace and have air conditioning, central heating, free wi-fi and TV. Location: This Costa Brava hotel is next to the Santa Maria Church of Cadaques, 100 metres from the beach. Description: Hostal Vehi was renovated in 2006 and is in a great location, near to Santa Maria Church. The hostal has a breakfast restaurant, bar, TV room and wifi. The rooms are bright, simple, attractive and clean with air conditioning, T.V and a safe. 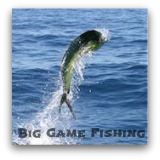 Closed November to February.